And so closes the book on the old Stampede Corral. 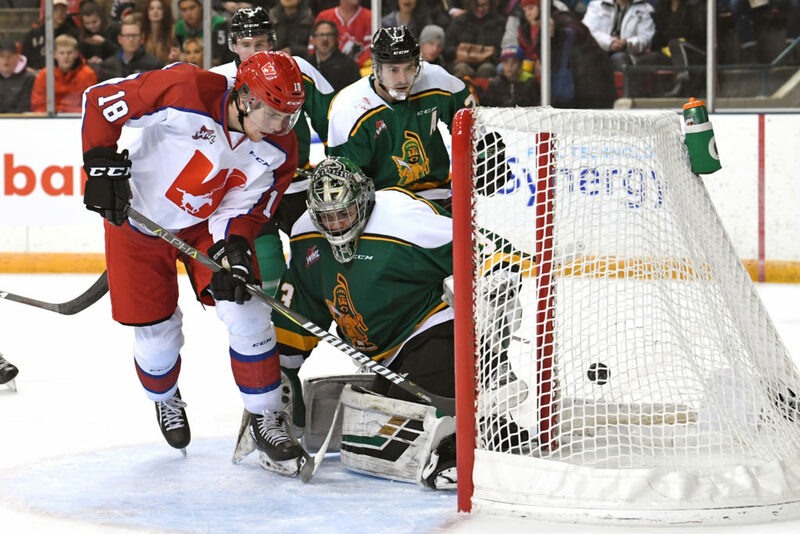 In the final game of the Corral Series presented by Adrenalin Source For Sports, the Wranglers fell 8-2 to the Prince Albert Raiders to finish 1-1-1 in the three games played in the barn. It was a trio of games that had it all and was full of unforgettable moments. “We will all appreciate it in time and say that we honoured all those clubs that came before us,” head coach Steve Hamilton said. “The guys took a lot of pride in wearing those jerseys. It meant a lot to honour the past and we appreciate the fans continued support. James Malm tallied a goal and an assist with his marker on a penalty shot late in the game possibly being the last goal scored in the Corral. 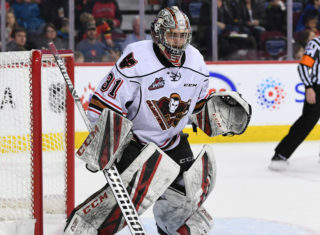 Riley Stotts also scored for the home side with Carl Stankowski making 32 saves after he came in to replace Jack McNaughton who went down early in the contest after being ran over and did not return. 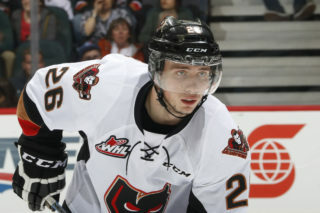 It was Stankowski’s first appearance since he went down with an injury on Nov. 23 in Seattle. “I prepared the same way I always do but things just didn’t go our way,” Stankowski said. “They are a good team, we tried our best but it just wasn’t our night. “It felt great to be out there and get back into a game again. 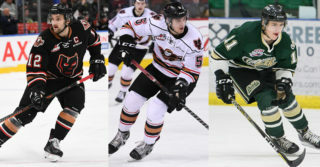 Prince Albert saw Noah Gregor score a hat-trick and Cole Fonstad adding in with two markers of his own. Dante Hannoun, Sergei Sapego and Eric Pearce scored singles and Ian Scott finished the contest with 21 saves. 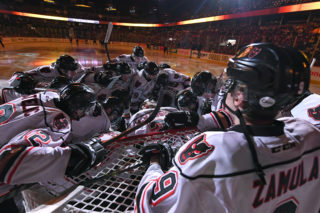 Although it wasn’t the outcome they had hoped for to close out the series, they never gave up and continued to battle. You just can’t win them all. “It was a tough ask with our two best defenceman sitting in the crowd, two key forwards out and our starting goalie going down,” Hamilton said. “I don’t think they quit playing and I don’t question our character in the room or question how much we care. 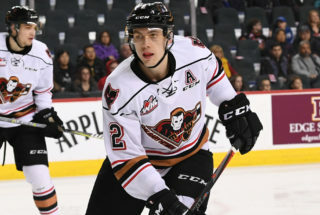 The Wranglers will now become the Hitmen once again as they will get set for a Sunday afternoon clash against the Moose Jaw Warriors back in the Scotiabank Saddledome. They’ve been able to bounce back from adversity before, and they’ll look to do it again. “We’re a team that has shown we can come back stronger,” Malm said. “Every time we’ve had a rough game or go through a slump we’ve been able to turn it around.